Inkscape Font won't import to Easel correctly? I needed some Deco font and Easel did not have the font I wanted so I downloaded Inkscape and made my own. BUT when I go to import the inkscape file into my easel design, it just shows up as jumbled rectangles.? 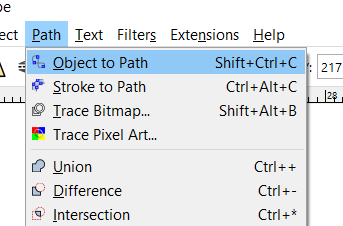 In Inkscape, select the text and convert to paths before you export for Easel.